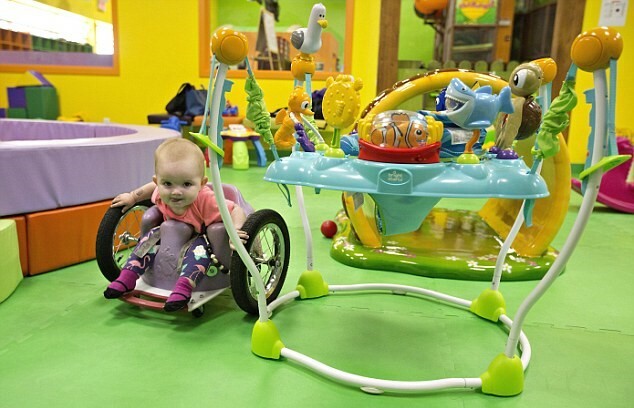 These guys may have just put themselves in the running for ‘parents of the year’ after they built a homemade wheelchair for their paralysed daughter. When 13-month-old Evelyn Moore was just four months doctors noticed a lump coming out her spine, something which was later diagnosed as a stage four neuroblastoma tumour, the Daily Mail reports. This brave little bubba had to go through eight rounds of chemotherapy to treat the tumour and after her parents receiving the fantastic news that she was in remission, they soon realised it had come at a cost. 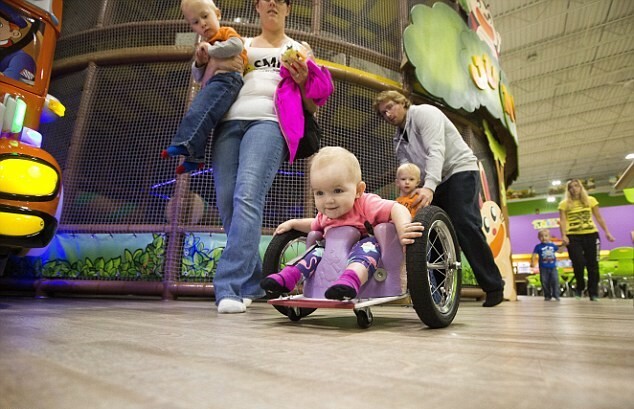 Evelyn’s tumour had crushed her spine, leaving her paralysed below the arms. You go home and you cry and you come back the next day and you be the strongest mum and dad you can ever be because you have no other option. So, with that in mind, they put their brains together to think of a solution. 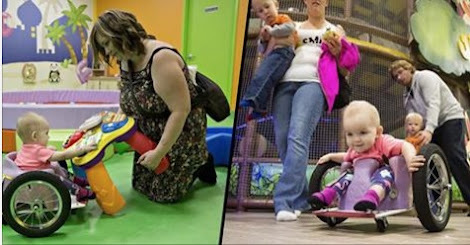 They wanted their daughter to have the freedom that any other youngster would have, so they decided to build her her very own wheelchair. I was on Pinterest and I found a really cool wheelchair. I showed it to my husband and asked him if he could build it and we went to Canadian Tire and just grabbed a whole bunch of pieces. The ingenious rents managed to make a wheelchair out of a kitchen cutting board, Bumbo chair and wheels from a child’s bike, all for a snip at only $100 (£76). Although Evelyn absolutely loves the creation now, Kim explained that it took a little while to get used to. 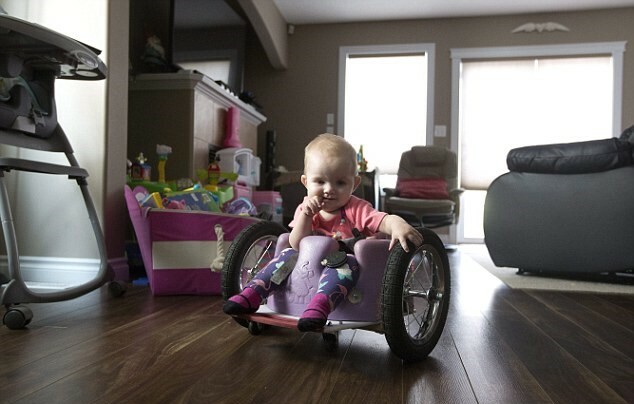 “She went backwards first, then she went forwards, then she figured out how to turn and we now have a speed bump in the middle of our living room because she just goes that fast,” she said. She started using it at seven months and has been zipping around the place ever since. Dad Brad couldn’t be more proud of his little girl and who can blame him. The willpower that she has, and how adaptable she is to her situation, is something I never really expected. And how quickly she’s grasping it has really blown me away… nothing can stop her. We wish this amazing family all the best for the future.